A little gem, and another welcomingly normal pub in one of London's poncier districts. I guess the poncy types don't do pubs because this, and the other 3 Belgravia beauties I sampled on a mid week afternoon, were (thinly) populated by friendly customers & staff, & I would be happy to call any one of them a local. My pint of Young's Bitter was 3.70; I was expecting it to be a pound dearer. Lovely pub. My experience was almost identical to the last review.... I came on a Camera pub walk (great book) which keeps leading me to gems like this. 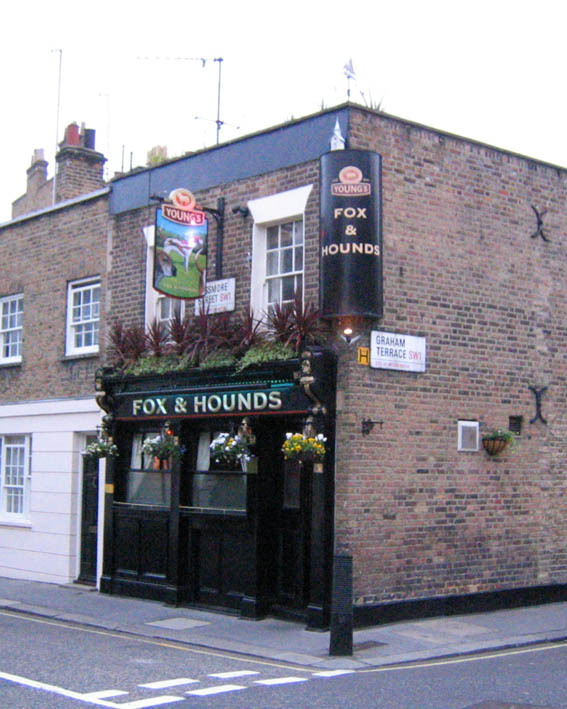 Apparently this was London's last beer house, with no spirits licence. The pint of Young's I had was the best from that brewery I have had. This is a hidden gem. Possibly not to every one's taste nut if you like friendly, cosy, traditional, bit eclectic then well worth settling into. It is small (almost tiny), though has amazing leather chesterfields to snuggle up on, and the books, prints, stuffed fox all work for me. The bar maid was great, and best of all no music! The clientele was mixed, though clearly local - ranging from arty bohemians to couples enjoying glasses of wine. 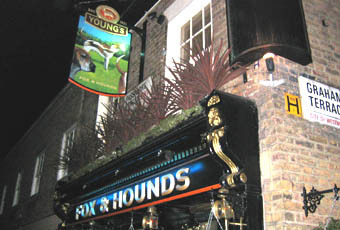 Have visited this pub many times and always found it to good. Very small and cosy and very busy at 7pm on Saturday but became comfortable at 8pm. The barmaid really had to work hard when it was busy and she did this very well and cheerfully.